Pro-Shot's new lines of targets are all printed and made in the USA. With everything from bullseye targets to silhouettes to sight in targets, we are sure you can find something to fit your shooting needs. 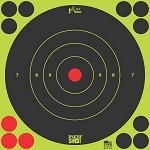 We also carry regular heavy paper, tag paper, and peel and stick targets to be able to match every shooter's needs. Many of our targets are Splattershot, making it easy to see where the shooter is hitting the paper. All of the targets in this category have the ability to peel off and stick to most surfaces. These targets also have the reactive splatter capability. These targets are composed of heavy tag paper. They DO NOT peel and stick, but they have the reactive splatter capability and still work well with our splatter pasters. 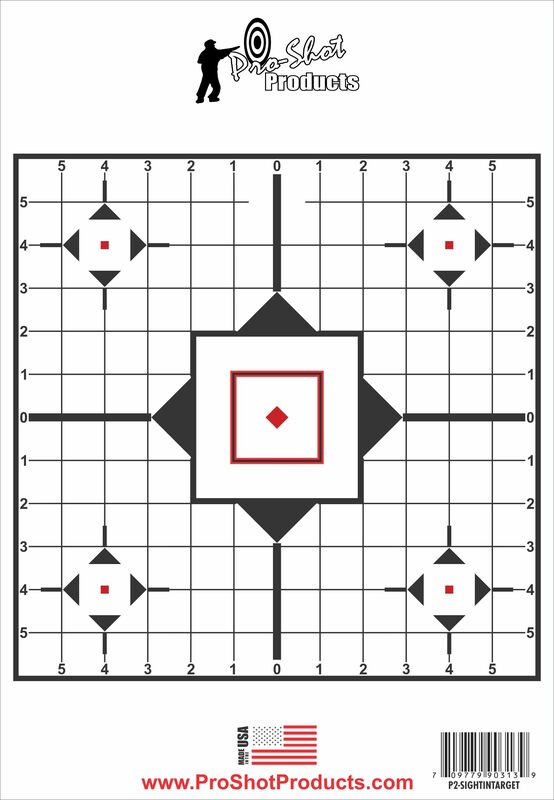 This category of targets are plain paper. They do not peel and stick or have the reactive splatter capability. They are the best bang for the buck. Pro-Shot Range Series Plastic Targets are great for any and all conditions in the field. Made of thin plastic, these targets are equipped with strips of adhesive for convenience as well as packaged in resealable bags. These targets can be wadded up, get wet, and take abuse before being used.